Home Culture and Society Pre-1840 contact Frontier of chaos? In the opening decades of the 19th century Māori contact with Europeans, while increasing, was still rare. By the early 1830s there were perhaps 200 permanent European residents in New Zealand. The burning of the Boyd (1809), the Elizabeth incident (1830), the Harriet affair (1834) and disorder at Kororāreka led to a widespread view – then and now – that New Zealand was a chaotic frontier society. Contemporary accounts highlight apparent contradictions. 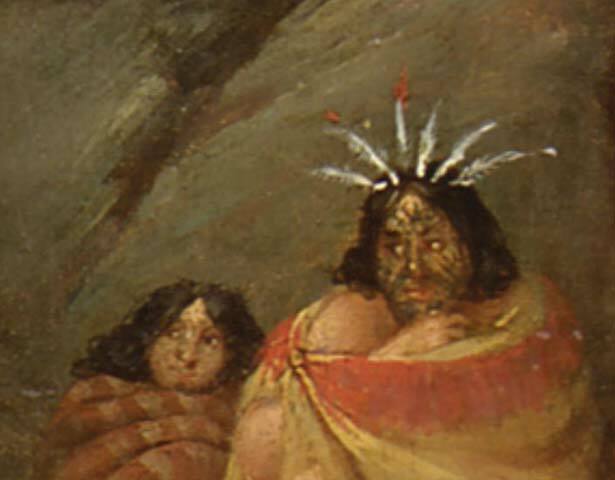 Some European observers emphasised what they saw as Māori savagery and treachery. Others, such as missionaries, highlighted the vulnerability of Māori and argued that intervention by the British government was needed to establish a framework for relations between Pākehā and Māori. Were these incidents of violence examples of Māori savagery or Māori vulnerability? And were they newsworthy because they were the exception, not the rule? Classroom ideas - frontier of chaos? We have 1 biography, 6 articles, related to A frontier of chaos?. RELATED TO A FRONTIER OF CHAOS?